Attention to all papercrafters out there! 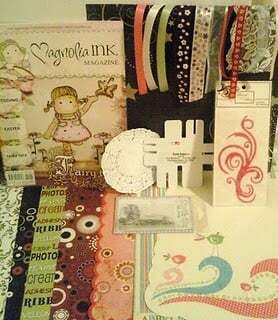 There is a blog candy held by Scrapbooking Allsorts at the moment. 2. Upload your latest papercraft project – scrapbook layouts, off the page projects or cards, whatever it is you are doing now. Entries close June 30th at 10pm. Oh, I would love to have that Magnolia Ink magazine..hello Tilda!